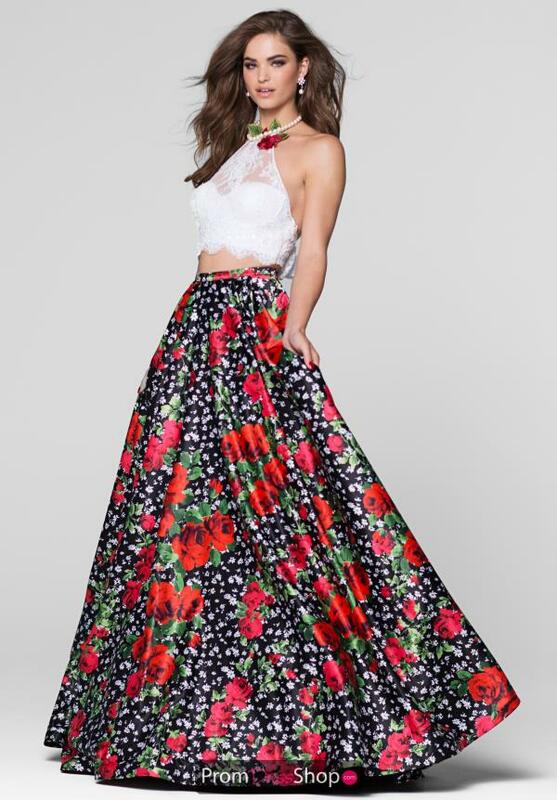 Rock this two piece prom dress 50038 from Tarik Ediz for your senior prom and you will look amazing. All eyes will be on you in this one of kind ensemble that features a lace, halter crop top with pearl beaded choker and rose applique with bow on back. 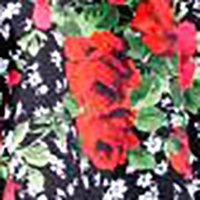 The full, a line, contrasting long skirt is made in a bold rose floral satin print fabric. See more phenomenal Tarik Ediz styles at PromDressShop.com.